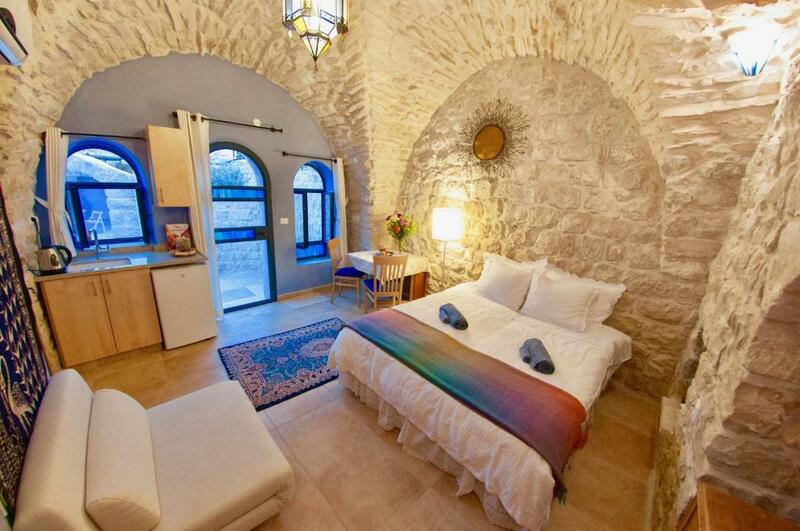 Lock in a great price for Artist Quarter Guesthouse B&B – rated 9.4 by recent guests! The owners Joy and Evan were extremely accommodating and bent over backwards to make sure we were well taken care of. 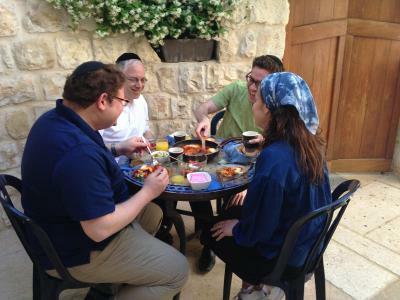 On Shabbat, they made sure the refrigerator was well stocked with breakfast foods and on the other days they served a delicious breakfast with a variety of foods. 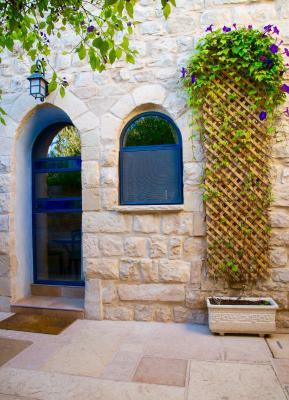 This is a charming B&B with a lovely studio room and delicious breakfasts each day but, more importantly, wonderful hosts who enhanced our stay in Safed. Amazing place sweetest owners delicious breakfast. 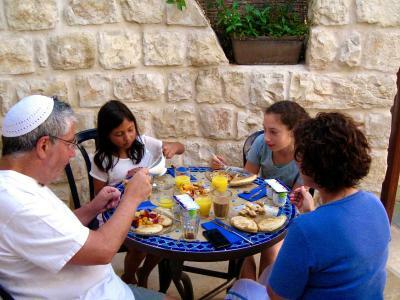 The breakfast is good: The owners prepare all the food and serve it in the guesthouses in the morning. 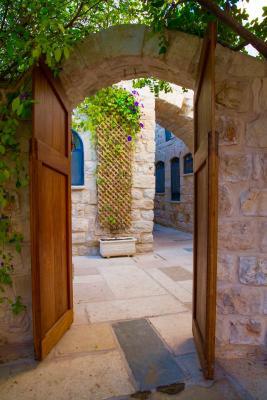 Safed is a quiet and nice place. The parking spots at the Wolfsom Community Center are free and they are very close to the hotel (less than 300 meters). I recommend using the free parking lot at the Wolfsom Community Center. 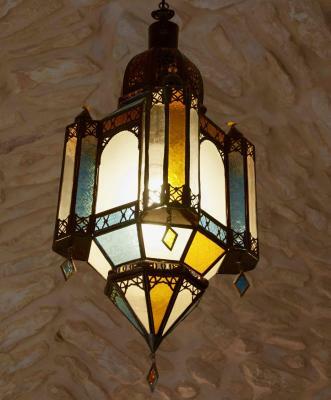 There are nice art galleries in Safed. The suite was beautiful. The breakfast was great and the owners were really nice and very welcoming. I would very much recommend staying here. Friendly staff, great breakfasts, helpful guiding of local life. Extreme helpful and friendly Hosts. Beautiful Rooftop and Outside Space. 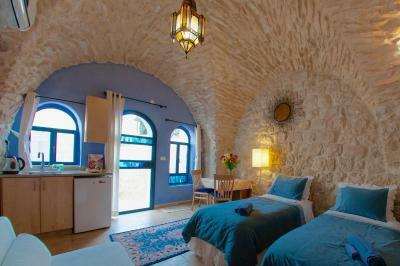 High Quality and very clean Rooms. 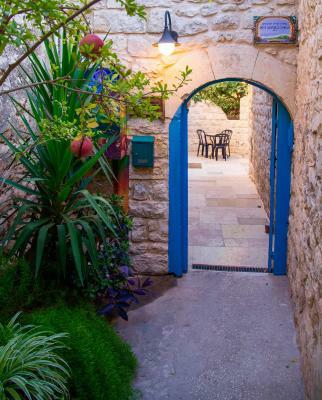 Combining traditional style and modern amenities, Artist Quarter Guest house B&B is located in Safed close to numerous art galleries and ancient synagogues. 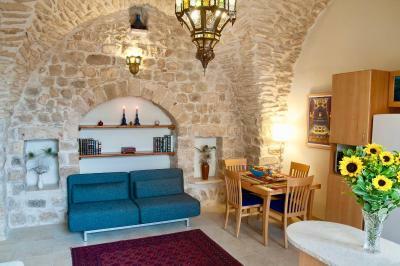 It offers self-catering accommodations with free WiFi and a Kosher breakfast. 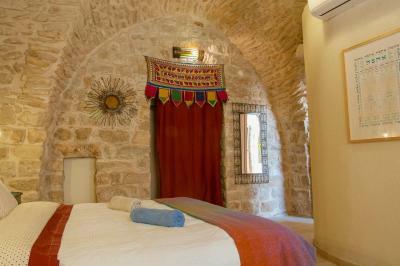 Set in a 300 years old building, all accommodations units are decorated with stone wall elements. 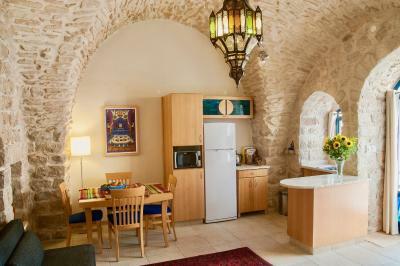 Each is equipped with air conditioning and a kitchen or a kitchenette. Dining tables for guests to relax are available in the shared courtyard. The nearest grocery store is 350 feet away. 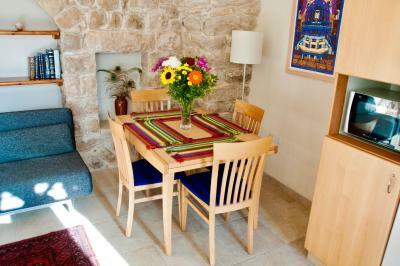 In the vicinity guests can also enjoy numerous restaurants. A local bus station is located 1,000 feet away from the Artist Quarter Guest house B&B. 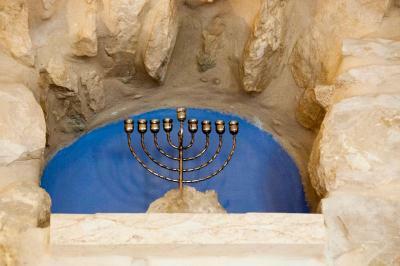 Rosh Pinna is 6.2 mi away, the Sea of Galilee is at a distance of 15 mi and Tiberias can be found 22 mi away. 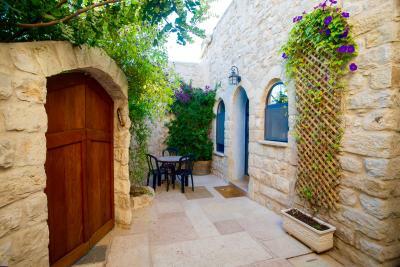 This property also has one of the top-rated locations in Safed! Guests are happier about it compared to other properties in the area. When would you like to stay at Artist Quarter Guesthouse B&B? This air-conditioned studio features a kitchenette and a private bathroom. 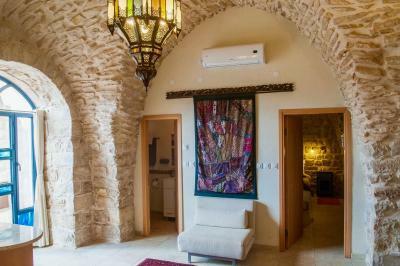 This air-conditioned apartment features a kitchen and a private bathroom. House Rules Artist Quarter Guesthouse B&B takes special requests – add in the next step! Artist Quarter Guesthouse B&amp;B accepts these cards and reserves the right to temporarily hold an amount prior to arrival. Artist Quarter Guesthouse B&B accepts these cards and reserves the right to temporarily hold an amount prior to arrival. Please note that on Fridays and the first day of Jewish holidays, check-in is only possible from 13:00 until 15:00. 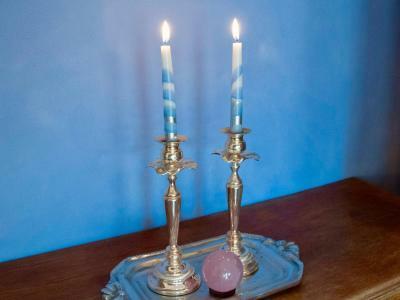 On Saturdays and the final day of Jewish holidays, check-in is 3 hours after sunset and check-out is up to 1 hour after sunset. 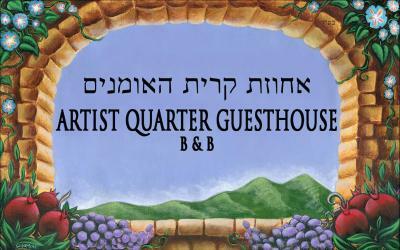 Please inform Artist Quarter Guesthouse B&B of your expected arrival time in advance. You can use the Special Requests box when booking, or contact the property directly using the contact details in your confirmation. Very nice location. Warm welcome. Slightly challenging to find, watch for the signs. It is very difficult to say why this place where in theory everything was very good left us with a sensation as if sth was missing... The atmosphere of apparant welcoming seemed to be somehow full of pressure... Or may be we were wrong... Very good breakfast served in the room, interrupted though many times, which gave us also this feeling of pressure on time... Or may be we were wrong... 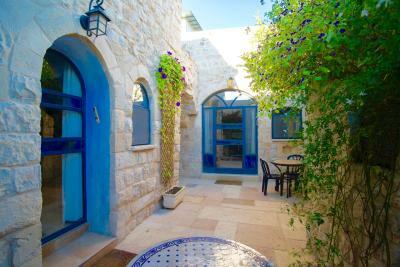 Walking distance to the major attractions in Safed. Free parking available under the reccomedation of the host nearby. 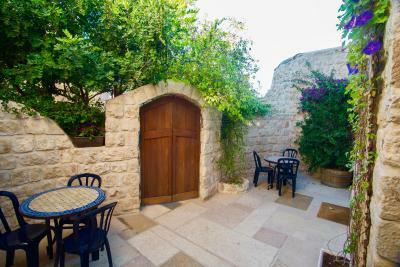 There are not many restaurants in Safed. You should be willing to drive if you want to have access to a broader variety of restaurants. 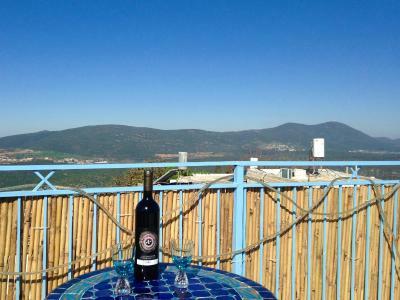 I recommend the restaurant HaAri8 in Safed if you want to stay in town. Joy was a warm and gracious hostess. 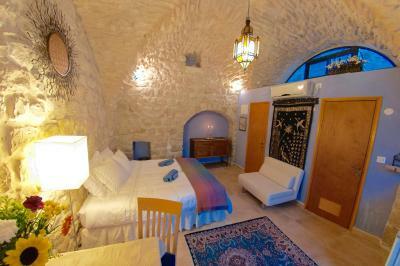 The room was beautifully designed and super clean. The proprietors are so wonderful! They took a lot of time explaining the culture of the city, the many areas to explore and visit, restaurants they recommended, and answered every question we had. 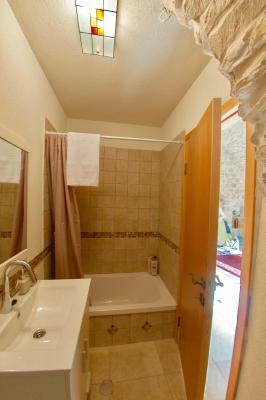 The property is a hidden jewel, and well-located for walking the city. The breakfasts were fantastic! Everything was done with care.